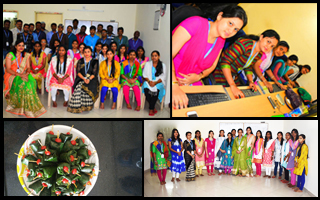 Welcome to I-Tech Lance where we are sociable, hardworking, passionate and there is a good shape of work life balance. The New Year is bidding farewell to the by-gone year and warm welcome the New Year. 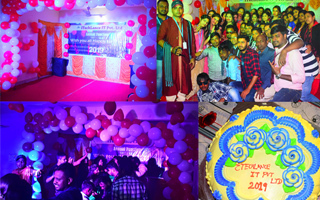 I-Tech Lance celebrated the New Year 2019 on 01.01.2019 with pomp and joy.This event proved that our employees not only work hard but they could also celebrate an eve harder. The day started with Bhajan, Odissi dance. Our management also encouraged by ventilating their valuable words. A warm welcome to the New Year was made with Ramp show by our employees. How could we miss the compulsory part of cake cutting, yes we all had a chunk of mouth watering new year cake. Comedy act, some serious act, stand-up comedy, solo dance, group dance, duet songs by our employees fun-filled the day. After all these the dance floor was open with DJ setup. Every performance was unique on its own way so the best performers fetched prize for various categories. Last but not the least the year that starts well continues great ! In this we recognize the Employee taking into consideration various hues like punctuality, pro-activeness, in-time delivery etc. throughout the year. Himansu Biswal, Sapan Kumar Khanda, Sisira Kumar Sahoo, Subhasmita Pattanaik, Pallabi Nayak, Gitanjali Sethi, Sagar Nayak, Bibhuti Bhusan Behera, Biswajit Barah. In this we recognize the employee taking into consideration various hues like pro-activeness, in-time delivery and punctuality etc. 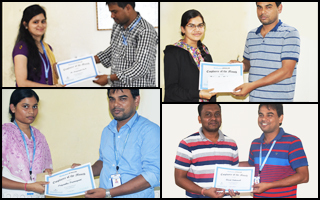 For the Month of November 2018 Gayatri Behera and Himansu Sekhar Biswal has been awarded as Employee of the Month. Diwali is the biggest and the brightest of all Hindu festivals. which is literally illuminates the country with its brilliance and dazzles people with its joy and happiness.Some believes it to be the celebration of the marriage of Lakshmi, the goddess of wealth, with Lord Vishnu . 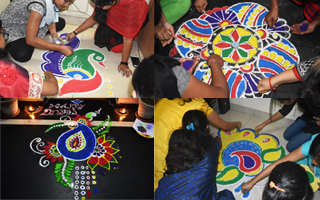 festival , illuminate lightening in our office and the same time all the female employees has been participate in the Rogoli competition in our office premises. This festival instills charity in the hearts of all employees of our esteemed organization, who perform good deeds. 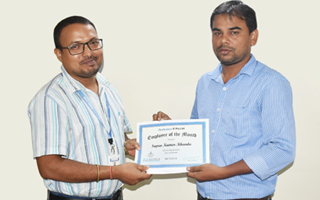 For the Month of September 2018 Sapan Kumar Khanda has been awarded as Employee of the Month. i-Tech Lance successfully completed its training on "The Future of Making Things" on 11.09.2018 in our national capital,New Delhi. Construction,Automobile or Media and Entertainment. As human we need MORE comfort with BETTER utilization of resource having LESS wastage to our environment. So technology here plays a key and pivotal role in summing up the words MORE,BETTER & LESS. From a statistics it has been found that there would be a population of 10 Billion in the Globe by 2050 out of which 68% would move to cities. More is inevitable and Less is reality. 30 % of Global waste is from construction and 70% wasted spare which is not needed and insufficient Supply chain adds to the waste created. India is 6th largest Economy which is growing very fast and we have always oppourtunity for better tomorrow. Some dimensions that determine better world for living are things,making and work. Automobile Industry has drastically shifted from "optimization to innovation" for betterment in production and sustainance in market. Similarly in constuction field the bedrock is Generative design where profit and cost both are part of model. In near future we could see DFMA for MANUFACTURING of buildings so that we could have a clean constuction site which is hassel free. Remote constuction is need of making new constructions. How could we not touch base IOT where data is key component at every step. Connected BIM which is emerging as new form of BIM is already on its way to make its mark. There is always "The Future of making" as consumer behavior is changing and content creation needs to be personalized in the area of Media and Entertainment. A platform that showcased real examples of upcomming technology being used for betterment of human life. The Future of Making focusses on being environment friendly with sustainability! For the Month of August 2018 Rasmita Manjari Sethy has been awarded as Employee of the Month. 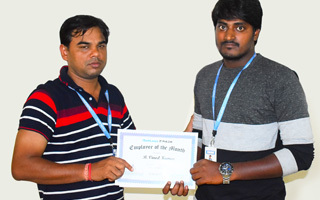 For the Month of June 2018 B.Vinod Kumar has been awarded as Employee of the Month. 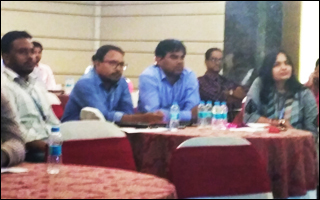 I-Tech Lance on 22.06.2018 successfully completed the Training on "Discovering on how the future of Civil Infrastucture convergence of latest technology- at CIVIL 3D conference". Interactive session with question rounds in which I-Tech Lance marked its presence by winning prizes.A platform to Imagine, Design and Create.Improved design Optimization with less error during design hence resulting in Cost savings -Project Benefits from the use of Advanced Technologies. 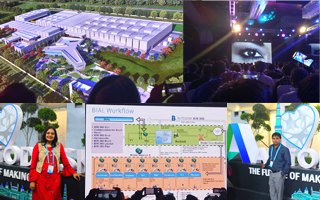 Infrastucture lifecycle understanding with deatiled discussion and exemplification to help Engineers cultivate and nurture ideas.Documentation,Optimization and Connectivity Strategis to help in saving time and helping make employees accountable . 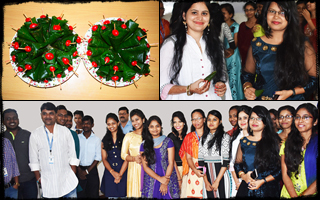 With the end of Jyestha month and beginning of Asadha month iTechlance celebrated RAJA festival. Pahli Raja was observed with employees in traditional dress,mouthwatering PAN and refreshing softdrinks. Raja Sankranti which is 2nd day of the four days Raja festival was celebrated with some fun games. In these two days of Raja celebration personal experience of our employees was shared. Though this festival has undergone a lot of changes over time, it still revolves around respecting and celebrating women. 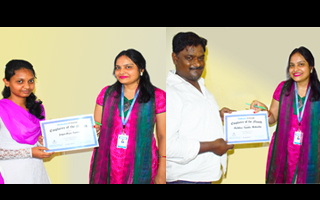 For the Month of May 2018 Jayashree samal and Bichitra nanda mohanty has been awarded as Employee of the Month. 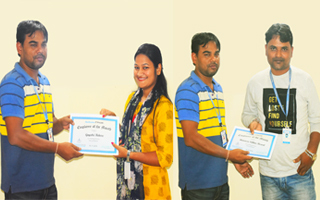 For the Month of April 2018 Santosh Kumar Patra and Saswati Pati has been awarded as Employee of the Month. 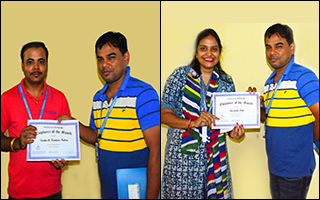 For the Month of March 2018 Chandan Kumar Behera, Supriya Priyadarshini and Varoon Nayak has been awarded as Employee of the Month. A routine schedule of coming office for work sans activity and outing makes employees low in spirit ! so here at I-Tech Lance we marked our calender for picnic. Away from a regular day we were out for a picnic along with family to,Bhim Kund,around 230 KMs from Bhubaneswar. 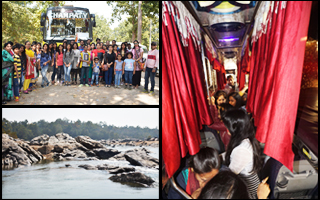 A sleeper coach had been booked for the day, which was fully utilized by our employees to have dance, music and various other fun games throughout our travel. We all were lust in the beautiful lap of mother nature at the picnic spot. A gigantic statue of Lord Bhim and roaring waterfall which dazzled white in the dense forest justified the spot. Rock climbing , cooking , playing badminton , team lunch, photography helped fostering genuine connections and deeper discussions among empoyees. While our return we had a visit to Tarini Temple so that the positive vive would keep our sprit high through out the year for remarkable accomplishment in work. Our management's cooperation helped in showing different spheres of our employees! At I-Tech Lance We marked our calendar for January 01/01/2018 to celebrate the New Year Eve. With the old year stretched to an end and as the clock tiked to New Year,we had a wonderful party with our employees. Party beginned with warm wishes addressed by Management then progressed with an opening song, everyone was floured with bollywood dance that engrossed the audiance to appeal for once more. On this first day of the year how could we miss our Patriotic spirit ! some of our employees showered their respect for Mother India by dedicating a dance on patriotic song following a stand up ovation. To make audiance interactive in the event some activities like award your colleage with an adjective, responding to right word and many more also made its mark. Cake cutting was done with party poppers, mouth watering food and smoothie. Last but not the list the evening was itself spelling loud for high spirit of our employees when stage was opened for DJ. The year that starts well continues well! 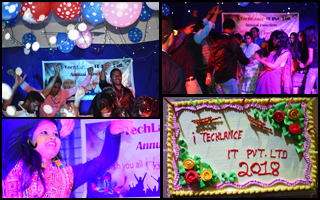 I-Tech Lance is full of fun which may be work or events that are arranged for employee engagement. In the beginning of Monsoon ensuring fertility of land(MOTHER EARTH) for better productivity Rajo festival is observed where our employees adore colorful traditional dress and have betel. 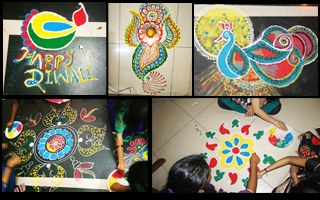 India is a country of festivals which is reflected in our office so we observe Diwali by decorating our office with diyas and have rangoli competition to keep employees in touch with our rich Indian tradition. 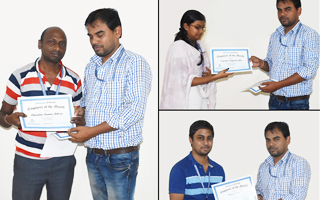 For hard-work, dedication, punctuality and pro activeness, our employees are rewarded with award of Employee Of the Month. We arrange various meetings to keep our employees abreast of the our Organizations progress and how their action, decision, development and design work is resulting in accomplishing companies goal. A person can crib about a particular work but here we give them a feel of good association experience!